Who Gets the Farm and When? 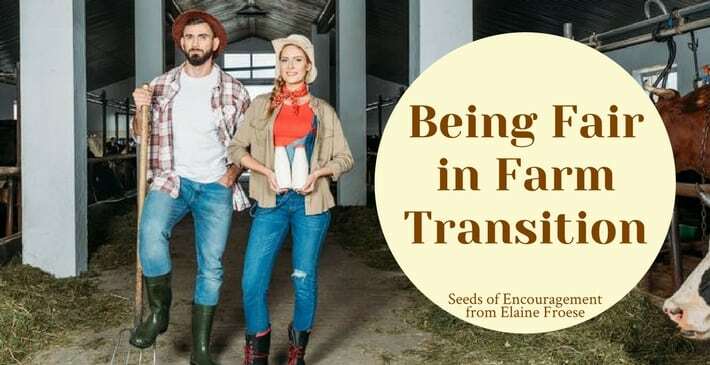 Are you frustrated with your folks on the farm? Would you like to find some tools to help them understand how to let go of power and control? If your parents aren’t readers, but like TV, this is 60 minute crash course will give them answers to why they need to let go and decide who is getting the farm and when. This recording of Elaine’s presentation for Manitoba Turkey Producers is fun to watch, and helpful for all sorts of family businesses, not just farms. Pride and stubbornness are some of the major barriers to successful succession planning. Order the DVD, and make things change for the better in your business. 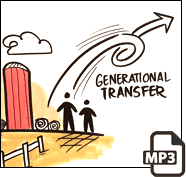 farm business transitions, 60 minute DVD for only $20.